Only Members may comment...too many spammers. I just discovered your music a few weeks ago, I am not sure why it took so long, but I am enjoying it very much. Thanks! I am writing new songs, with Japan in my mind and heart and soul, songs of healing and love for Japan and all my friends and fans who live there. Hirth, my good friend. Just got back from a summer in Europe and thought about you often, and then I come home and there's a note from you!. Your music still gives me chills and your friendship is true. Honored to know and love you. Thanks for dropping me a line! Time to call... Johnny D.
Hi Chris, you can try amazon.com and maybe itunes. They sometimes carry Hirth's songs. 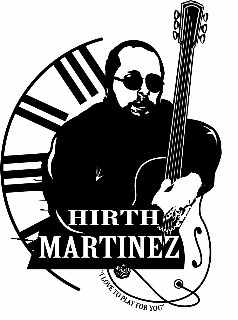 You can also hear Hirth at myspace. Good hunting! Hirth's songs are a treasure. Lyrically perfect, perfect rhymes, sophisticated melodies. There are some nice new covers too. Hello folks, BB is out of rehab and ready to play again. HM is the best musician I have played with. Aloha! I've had a "Hirth from Earth" plaster bust promo item for some 33 years now. It's been living in my garden for the past sixteen years, and I just recently got around to cleaning it up some. (It was quite funky, perhaps rightfully so!) Anyway, doing this made me want to google you, which has led me here... Nice to finally find out a little something about you after all these years! (Maybe I should get the record, too?) Aloha!